Finding the perfect diamond engagement ring to pop the question is one the biggest decisions and purchases you’ll make in your lifetime. 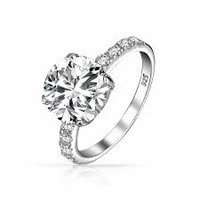 Searching for the most beautiful, elegant, and fitting engagement ring to give to your bride-to-be can be tiring, but with the help of our knowledgeable staff at Skydell Designs you can find a stunning diamond for a fraction of the cost. With our clarity enhanced diamond engagement rings, you can find the ideal ring for your sweetheart at a great price, without sacrificing quality or luxury. 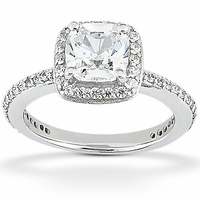 From our magnificent round diamond engagement rings to our semi-mount and halo rings, we have the most affordable engagement rings for women without giving up beauty, elegance, and flawless design. 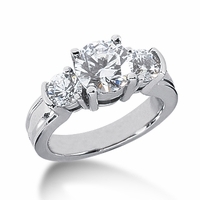 Whatever kind of ring you have in mind, our selection of clarity enhanced diamond engagement rings has something for you. These exquisite diamonds have gone through a natural process in which they are stripped of their eye-visible imperfections and result in a clearer, more dazzling diamond for your engagement ring. Whether you browse through our round diamond engagement rings or our semi-mount rings, you’ll be sure to know that you’re getting the best deal for a gorgeous, eye-catching diamond. 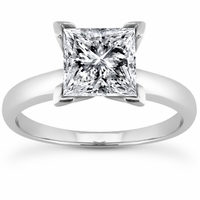 At Skydell Designs, you’ll be sure that you’re getting some of the most affordable engagement rings for women without settling for something that you can’t see on your future wife’s hand for years to come.